Cartagena, Colombia, August 21: Operators in the LATAM region looking to overcome the challenges of increasing bandwidth demands and interference mitigation are set to benefit when InfiNet Wireless, the global leader in fixed broadband wireless connectivity, launches its latest SDR technology solution to the Latin America market at the annual Andicom conference in Cartagena, Colombia next week. On display at booth 85, the Quanta 5 has been designed to offer the highest spectral efficiency available in today’s wireless marketplace. Able to seamlessly operate from sub-zero temperatures to tropical conditions, Quanta 5 is the company’s brand new 5 GHz Point-to-Point solution which has a capacity of up to 450 Mbps in just 40 MHz, delivers full Quality of Service (QoS) with a processing power in excess of 800,000 packets per second. Quanta 5 delivers a comprehensive set of benefits in a Point-to-Point topology, all with a fibre-like performance, thanks to InfiNet’s advanced proprietary management protocols. This new solution combines the complete set of features associated with Field-Programmable Gate Array (FPGA) platforms, with the added flexibility based on the company’s own and well-proven WANflex operating system. InfiNet’s continued growth and expansion in the LATAM region was further evidenced when the company and its loyal partner in the region Avantec jointly launched a new operation in Colombia. This new arrangement represented a milestone for the cooperation between the two companies, cementing an already successful cooperation which resulted in more than 100 projects jointly implemented in just four years since the partnership began in Mexico in 2014. InfiNet Wireless can be found at booth 85. Andicom takes place from 29-31 August 2018 at Cartagena des Indias, Colombia. InfiNet Wireless is in a unique position, being one of the largest privately owned Broadband Wireless Access (BWA) development and manufacturing companies in the world. Since its foundation in 1993, InfiNet has maintained organic growth through innovation and its ability to deliver complete customer satisfaction throughout its product life cycle. Listening to its customers for more than 25 years, coupled with its innovative approach in R&D, has resulted in the development of a range of advanced wireless solutions that are a perfect fit for many requirements, making InfiNet Wireless the natural choice for end users, all of whom require uncompromising connectivity. With over 600,000 deployments from the plains of Siberia to the deserts of the Sahara, InfiNet Wireless is active in market segments that deliver carrier-grade PTP and PMP solutions to service providers of all types, law enforcement agencies, the transportation and logistics sector (including mobile and nomadic operators) as well as Oil & Gas operators. 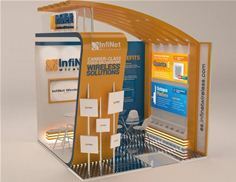 For more information, please visit our website at www.infinetwireless.com or connect with InfiNet Wireless on social media: @InfinetW.